Dawsons Estate agents is delighted to have been named as sole agent for a prestigious forthcoming residential apartment development in Mumbles. Along with the proposed Marks & Spencer store on the site of the old British Legion building in Newton Road, nine luxury apartments are being built above with the whole development expected to be completed in early 2019. 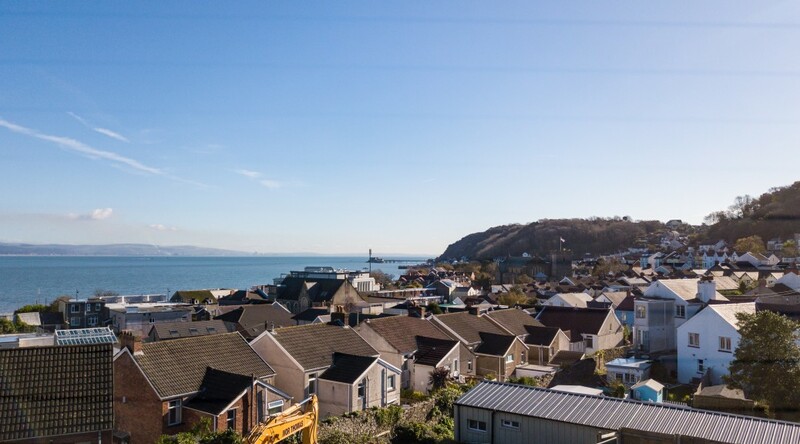 Not only are these spacious high spec properties situated right in the heart of Mumbles but they will enjoy a section of the beautiful 180 degree panoramic views over Oystermouth Castle, the sweep of Mumbles Bay and around to Mumbles Pier. “Having been involved in this unique development since close to the start, it is with great excitement that we now see it becoming a reality, with pre-building activity already on site” said Tim Kostromin, Partner with Dawsons Land & New Homes. “This is a spectacular opportunity for people to own a private luxury apartment, set just off the hustle and bustle of a vibrant village of Mumbles, which is continually improving with its eclectic mix of shops, eateries, and bars. The spacious nine apartments of varying size, some of which will be duplex, will be built to a high specification. It is anticipated that the official launch will be Summer 2018 however, Dawsons will be releasing information to all database clients when prices are confirmed. Dawsons’ staff have been spending time in the local community in supporting children’s academic and creative achievements. Our Sketty Sales Branch Manager Alison Morris was invited to visit the children in year 1 at Sketty Primary School last November to assist in their term’s project: ‘Houses and Homes’. Alison along with Naomi Webborn of Dawsons Marketing team spent time in the classroom helping the children to understand the process of selling a house. There were games and prizes and a question and answer session, where the children were already able to differentiate between house styles – detached, semi-detached, terraced. 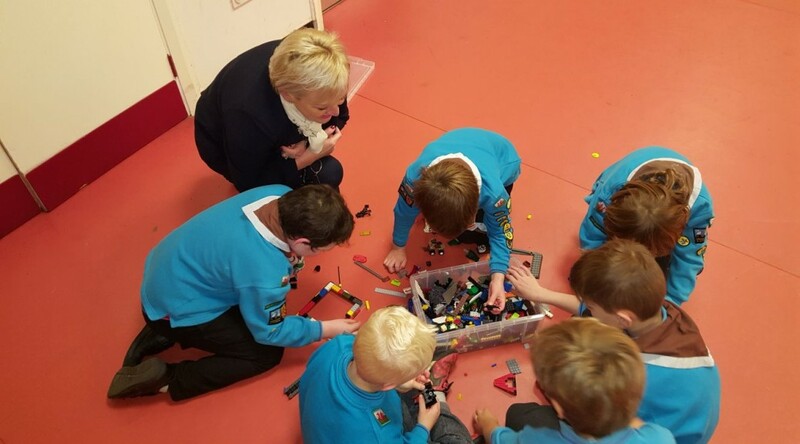 Also during November Dawsons’ partner James Dawson, along with both the sales and the lettings directors Jo Summerfield Talbot and Ricky Purdy, joined the 44th Sketty Beaver Scouts for an evening of Lego creations. Using Lego kindly donated by parents and friends of the 44th Scout troop, the beaver lodges set out to build the most original house with their team-mates which was e judged at the end of the evening by Dawsons, who kindly supplied the winning beaver lodge with a Lego set each to take home. All beavers received their Lego badge along with the Dawsons team, who had as much fun as the children during the creative session. Whilst Dawsons staff are dealing with all things property, their marketing team are always on the lookout for how they can assist our local communities here in Swansea and Llanelli. If you would like our support, please contact Naomi Webborn on 01792 301000 or email naomi.webborn@dawsonsproperty.co.uk. While many businesses wind down at the end of the year, Dawsons have been increasing their staffing levels in readiness for another busy New Year. With more than 13 sales and lettings branches throughout Swansea and Llanelli, Dawsons were looking to recruit staff for several new roles within the company which will bring their staffing levels to more than 120. Dawsons are a locally-owned business, established in 1991 with many years’ experience in the field of Residential and Commercial Property Sales and Rentals, together with their highly successful Auction Department, Land and New Homes, Survey, Financial Services and Fine and Country Departments. 2017 proved to be another very successful, busy year with the acquisition of a smaller local letting agent and to top it off winning the Relocation Agent, Best Agent Regional Winner 2017. The new staff (pictured above) were all employed in the last quarter of the year and are spread throughout the company covering several different roles from Administrators, Sales and Lettings Negotiators, Inspectors to Mortgage Advisers,. They bring with them a diverse wealth of knowledge and experience within their field. Dawsons’ marketing team came up with a great initiative for 2017 in supporting local businesses in the use of their Reward Card, which has proved to be a huge success, so much so, Dawsons have received a flood of enquiries from other local business’s as to how they become involved in our Reward scheme. With charitable organisations also being at the forefront of Dawsons’ priorities, already foundations have been laid for many planned fundraising events……….2018 is looking to be another exciting year for all those involved in the company.